The Roskilde Festival is a Danish music festival held annually south of Roskilde. It is one of the largest music festivals in Europe and the largest in Northern Europe. It was created in 1971 by two high school students, Mogens Sandfær and Jesper Switzer Møller, and promoter Carl Fischer. In 1972, the festival was taken over by the Roskilde Foundation, which has since run the festival as a non-profit organization for development and support of music, culture and humanism. In 2014, the Roskilde Foundation provided festival participants with the opportunity to nominate and vote upon which organizations should receive funds raised by the festival. A music festival is a community event oriented towards live performances of singing and instrument playing that is often presented with a theme such as musical genre, nationality, or locality of musicians, or holiday. Some festivals are focused on women’s music. Roskilde, located 30 km (19 mi) west of Copenhagen on the Danish island of Zealand, is the main city in Roskilde Municipality. With a population of 50,046, the city is a business and educational centre for the region and the 10th largest city in Denmark. Roskilde is governed by the administrative council of Roskilde Municipality. In 1978, festival organizers acquired the Canopy Scene, an orange musical stage previously used by The Rolling Stones on a European tour. Since its beginning, the Canopy Scene and its characteristic arches have become a well-known symbol and logo representing the festival. In the 1990s, electronic music was introduced to the festival. In 1991, Club Roskilde was held, which was an electronic music dance club held in the evenings. In 1995, electronic music artists received their own stage. In the following years, even more room for electronic music was created by the establishment of the chill-out zone and the Roskilde Lounge. Since then, artists like Fatboy Slim, The Prodigy, Basement Jaxx and Chemical Brothers appeared on the main stage. Norman Quentin Cook, known by his stage name Fatboy Slim, is an English DJ, musician, and record producer who helped to popularise the big beat genre in the 1990s. In the 1980s, Cook was the bassist for the Hull-based indie rock band the Housemartins, who achieved a UK number-one single with their a cappella cover of "Caravan of Love". After the Housemartins split, Cook formed the electronic band Beats International in Brighton, who produced the number-one single "Dub Be Good to Me". Cook joined acts including Freak Power, Pizzaman, and the Mighty Dub Katz to moderate success. The Prodigy are an English electronic music group from Braintree, Essex, formed in 1990 by keyboardist and songwriter Liam Howlett. The first line-up of the band also included MC and vocalist Maxim, dancer and vocalist Keith Flint, dancer and live keyboardist Leeroy Thornhill, and dancer and vocalist Sharky. Along with the Chemical Brothers, Fatboy Slim, and other acts, the Prodigy have been credited as pioneers of the big beat genre, which achieved mainstream popularity in the 1990s. By the 1990s, the number of tickets offered for sale was restricted and later even reduced. Due to steadily increasing popularity of the festival, the number of visitors had increased to up to 125,000. In addition, 90,000 tickets for about 25,000 volunteers, 5,000 media people and 3,000 artists were added. In order to preserve the quality of the festival, the festival organizers decided to limit the number of participants. The distance from the rearmost part of the camping area to the stages of the festival management seemed to have become unreasonable. The festival had become so popular that the festival management decided in 1994 to expand the festival area to the west. The festival site was now on divided by the railway line into two parts. In 1996 the festival had its own station, which should facilitate the arrival of visitors. In 1997, another tent called Roskilde Ballroom was built. The bands presented at Roskilde Festival are traditionally a balanced mix of large, well-known artists, cutting-edge artists from all contemporary genres, popular crowd-pleasing acts plus local Scandinavian headliners and up-and-coming names. The stages were until 2003 named after their colour, but as the names had not matched the actual color of the tents for a period, it was decided to rename all stages except the Orange Stage, the central and main stage. The Orange Stage is open in front of a huge field, whereas the other tents cover the whole audience, the largest of which is the Arena stage (formerly known as Green Stage), the largest tent in Europe with an official capacity of 17,000 people. 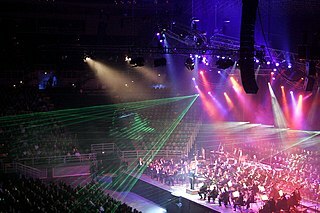 The 2007 edition saw two new tents, replacing Ballroom (1997–2006) which presented mainly World music, and Metropol (2003–2006) which presented mainly Electronica. In 2010 two stages, Astoria (from 2007) and Lounge, did not return, due to a slight shift in focus towards fewer, but bigger bands. In 2014 the Odeon stage was cancelled along with the surrounding sustainable-style food outlets, and the area was replaced with pre-booked tents for festival guests that prefer not to bring their own. World music is a musical category encompassing many different styles of music from around the globe, which includes many genres including some forms of Western music represented by folk music, Jazz, as well as selected forms of ethnic music, indigenous music, neotraditional music, and music where more than one cultural tradition, such as ethnic music and Western popular music, intermingle. The music covers such styles as rock, Hip Hop, Metal, urban, electronica and 3rd world contemporary music. It has become a tradition to let a Danish act open the Orange Stage on the first day of the festival. There are often surprising performances by classical acts, film-music, opera etc. The festival campsite covers nearly 80 hectares and access to it is included in the ticket price. It usually opens on Sunday morning prior to the festival itself. Apart from the small and separate Camping South it is divided into two areas, East and West, each comprising a service center with establishments ranging from food stalls to a cinema. The campsite is further divided into 'agoras' that provide toilets, cell phone charging and luggage storage. They also host events according to each agora's theme: dance, skate, swim etc. Over the most recent years, the opening of the campsite has turned into an event of its own; large areas of the campsite each year is turned into gravel pits which has increased demand for prime spots in the campsite. Thousands of people arrive during Saturday (some even arrive several days before), to wait in the queue until 16:00 that afternoon when the gates to the campsite officially open. Due to this, the festival has introduced temporary transit areas (in both East and West), making it possible to let all these thousands of people get in at the same time. The last couple of years the fences around the transit areas has been knocked down several hours ahead of official opening by festival guests eager to get the spot for their tent. As of 2018, a new gate system has been installed. This means that all guests arriving first fill 7 rows of the gate system (1000 people in each). Behind this, a large field holding all remaining guests. At 16:00 on the opening Saturday, the gates open, one row at a time at approx 90sec intervals. Once this is complete, the remaining guest in the back area are free to enter the camping area. Every year since 1999, on the Saturday of the festival (held on a Thursday in 2015, 2016 and 2017), Roskilde Festival Radio organizes a naked run around the camp site. One male and one female winner receive a ticket for the next year's festival. In the past few years, the naked run has become so popular that the Festival Radio has been forced to arrange qualifier events for the male participants. In the following year, the accident led to significant changes in safety procedures in order to avoid similar situations – not just at Roskilde Festival, but also at other festivals in Europe. Before the accident in 2000, Roskilde Festival was considered one of the safest festivals. Many other festivals have smaller safety systems than Roskilde Festival and revised their procedures even further. Glastonbury Festival in England chose to cancel its festival in 2001, in part to consider lessons from Roskilde, although mainly due to an influx of 150,000 non-ticketed visitors at its own 2000 event [ citation needed ]. Each year Roskilde Festival makes an extensive health and safety assessment on the basis of which the festival is executed. The accident at the Orange Stage led to the construction of a memorial ground on the festival site containing a stone with the inscription "How fragile we are" (a quote from the Sting song "Fragile") surrounded by nine trees. Pearl Jam's song "Love Boat Captain" references the tragedy with the line "Lost nine friends we'll never know... two years ago today." When performed in concert, lead singer Eddie Vedder modifies the lyric to reflect the passage of time since the tragedy. Shows by bands such as Metallica, Blur, Electric Eel Shock, Coldplay, Björk, Massive Attack, The Streets, Iron Maiden, Queens of the Stone Age, Urlaub in Polen, Interpol and 150 more. The 2004 festival featured artists such as Muse, Iggy Pop and the Stooges, Santana, Korn, Pixies, Fatboy Slim, Wu-Tang Clan and Morrissey. David Bowie was scheduled to play at Roskilde 2004 but cancelled due to heart problems, with a notice on his website. Instead, Slipknot, who were on tour in Europe, filled the spot. The 2005 edition featured artists such as Audioslave, Autechre, Snoop Dogg, Black Sabbath, D-A-D, Duran Duran, Foo Fighters, Green Day, Brian Wilson, Fantômas, Kent, Sonic Youth, Interpol and more than 160 other bands and DJs. This year was also a huge contrast to the previous year on the weather front. Hot and sunny all week. With more than 79,000 paying visitors (as well as approximately 20 000 volunteer day workers), the 2006 festival was the biggest in Europe  for the year. With only one day of rain and the rest of the week being sunny, this festival also ranks as one with lucky weather conditions. Changes from the previous year included a new swimming lake – which proved to be very successful due to the warm and sunny weather – and a lounge stage called Bar'n. Some of the performing artists were Bob Dylan, Immortal Technique, Roger Waters, Guns N' Roses, Tool, The Strokes, Deftones, Morrissey, Franz Ferdinand, Kanye West, Placebo, Bullet For My Valentine, Arctic Monkeys, Sigur Rós and The Streets. Danish band Magtens Korridorer opened Orange Stage. Roskilde Festival 2007 turned out to be the wettest one yet, by a rather large margin. Approximately 95 mm of rain fell during the course of the festival, as opposed to 44 mm in 1997, which was the wettest before 2007. Thursday was a day consisting only of rain, ending up with a lot of guests returning from the concerts to find their tents flooded. The organisers stated that it seemed that most of the people who left returned later on enjoyed a somewhat mixed weather experience Friday, and mostly dry, but a bit windy and chilly days on Saturday and Sunday. The full programme was released on 19 April 2007 and included bands such as Muse, Queens of the Stone Age, Björk, Beastie Boys, My Chemical Romance, Arctic Monkeys, The Who, Red Hot Chili Peppers, The Killers and Tiësto. Danish band Volbeat opened Orange Stage. Also Danish rock band Nephew played at Orange Stage on 7 July. This concert was later released as a live CD/DVD named 07.07.07 – this referring to the date of the concert. Danish rapper L.O.C featured in the concert, where they also mixed their songs with other songs, e.g. singing a line from Rammstein's Amerika in the song USA DSB, and singing Black's Wonderful Life in the beginning of Movie Klip. Roskilde Festival 2008 was dry with the exception of a 10-minute shower on Saturday 5 July and rain that started around 22:00 on Sunday 6 July. The sun shone for the rest of the festival. The full programme was released on 16 April 2008 and included Jay Z, The Chemical Brothers, Band of Horses, Duffy, Kings of Leon, Neil Young, Radiohead, Grinderman, My Bloody Valentine, Gnarls Barkley, Girl Talk, The Dillinger Escape Plan, The Streets, Judas Priest, Slayer, Tina Dickow, and The Hellacopters. Roskilde Festival 2009 was the hottest in 33 years according to the festival newspaper Orange Press. The festival was hit by a major cancellation, when rapper Lil Wayne had to cancel due to sickness. He was replaced by Gogol Bordello who played the only 6 starred concert at the festival. Orange stage was opened by Swedish rapper Petter, who had prominent visitors on stage such as Dee Pee from Rockers by Choice and L.O.C, who was on Orange stage for the third year running (featuring on Nephew's Hospital in 2007, and his own concert in 2008). Petter has been called a failure for this concert, because he wasn't able to get a full crowd, and the opening of Orange has to be big. Nine Inch Nails played at Orange Stage Friday night at 01.00am – 03.00am and gave what several Danish newspapers called "the best concert of Roskilde '09". Nine Inch Nails were on "Wave Goodbye"-tour and will most likely never visit Denmark again. Roskilde '09 also meant the anticipated return of the Danish hip-hop group Malk de Koijn, who played a 2-hour concert the night between Saturday and Sunday at Arena, and a big party-atmosphere at Orange Stage Thursday night, when Trentemøller and prominent guests made all of the crowd dance as if they were clubbing. Danish rapper Jooks played as an up-and-coming act at Pavilion Junior Wednesday in the warm up days, and due to him having a major hit after he was booked (Hun vil ha' en rapper), the tent was packed to the limit in a concert, who could easily have filled one of the bigger stages. Other big names were: Kanye West, Nick Cave and the Bad Seeds, Oasis, Coldplay, Faith No More, The Mars Volta, Volbeat, Slipknot, Lily Allen and Pet Shop Boys. The weather at 2010 festival was sunny all days of the event. The 2011 had nice weather the first few days, but on Thursday-Friday there was massive rain. Roskilde Festival faced a sad incident when a young woman fell from the Tuborg tower to her death. The tickets were sold out, with a projected profit of around 10 million Kr. The opening of Orange Stage was done by Danish Veto, and was closed by Kings of Leon. Glastonbury Festival is a five-day festival of contemporary performing arts that takes place near Pilton, Somerset, England. In addition to contemporary music, the festival hosts dance, comedy, theatre, circus, cabaret, and other arts. Leading pop and rock artists have headlined, alongside thousands of others appearing on smaller stages and performance areas. Films and albums recorded at Glastonbury have been released, and the festival receives extensive television and newspaper coverage. Glastonbury is the largest greenfield festival in the world, and is now attended by around 175,000 people, requiring extensive infrastructure in terms of security, transport, water, and electricity supply. The majority of staff are volunteers, helping the festival to raise millions of pounds for charity organisations. The Coachella Valley Music and Arts Festival is an annual music and arts festival held at the Empire Polo Club in Indio, California, located in the Inland Empire's Coachella Valley in the Colorado Desert. It was co-founded by Paul Tollett and Rick Van Santen in 1999, and is organized by Goldenvoice, a subsidiary of AEG Live. The event features musical artists from many genres of music, including rock, indie, hip hop, and electronic dance music, as well as art installations and sculptures. Across the grounds, several stages continuously host live music. The main stages are the: Coachella Stage, Outdoor Theatre, Gobi Tent, Mojave Tent, and Sahara Tent; a smaller Oasis Dome was used in 2006 and 2011, while a new Yuma stage was introduced in 2013 and a Sonora stage in 2017. Rock Werchter is an annual music festival held in the village of Werchter, near Leuven, since 1976 and is a large sized annual rock music festival. The 2003, 2005, 2006, 2007, 2012 and 2014 festivals received the Arthur award for best festival in the world at the International Live Music Conference (ILMC). It can host 88,000 guests daily, of which 67,500 combine all four days, to add up to a total maximum of 149,500 different attendees. Danish rock is rock music played in Denmark. Starting in the 1950s, rock music was imported from the United States of America, where it was becoming extremely popular. Danish jazz artists began adopting the rock genre. Towards the end of the 1950s and throughout the 1960s, Danish rock was heavily influenced by British music, one of the genres being R&B. By the end of the 1960s, Danish rock was again being influenced by American rock. During the 1980s, Danish rock consisted mainly of pop-rock bands. In the current Danish rock scene, Indie rock is very popular. T in the Park festival was a major Scottish music festival that was held annually from 1994-2016. It is named after its main sponsor, the brewing company Tennents. The event was originally held at Strathclyde Park, Lanarkshire but was held at the disused Balado airfield, Kinross-shire from 1997 to 2014. In 2015 the festival moved to Strathallan Castle, Strathallan, Perthshire. Originally a two-day event, the festival became a three-day event in 2007. Promoted by DF Concerts, the event attracts up to 255,000 people, along with 70,000 campers. Raunchy is a metal band from Denmark, formed in 1994. They have released six studio albums, and are currently signed to Massacre Records. The HFStival was an annual Washington, D.C. / Baltimore, Maryland rock festival. Held every summer from 1990 through 2006 by radio station WHFS, and annually since 2010 in commemoration of the now-defunct station's legacy, the HFStival was at its peak the largest yearly music festival on the East Coast. 55,000 to 90,000 people attended the annual event, which had traditionally been held at RFK Stadium until the station moved to Baltimore in 2005. That May, the new WHFS at 105.7 held its first HFStival at M&T Bank Stadium. 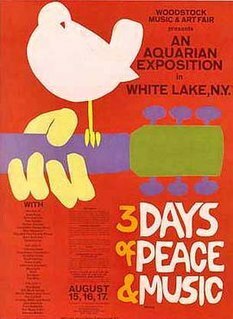 Though not originally called HFStival, two earlier concerts held on the Fourth of July were the foundation for the first festival and are considered part of HFStival history. The Hurricane Festival, also just Hurricane, is a music festival that has taken place at the Eichenring, a speedway race track, in Scheeßel Germany since 1997. With more than 70,000 attendees (2016) it is one of the largest music festivals in Germany. Southside Festival, often referred to as Hurricane's "sister" festival, takes place on the same three days and has largely the same line-up. Alongside Southside Festival, Hurricane festival is organised by FKP Konzertproduktionen, MCT Agentur and KoKo Konstanz and takes place every June. Like many other large festivals Hurricane Festival plays a mix of rock, alternative, pop and electro music from established as well as emerging artists. Arrival begins at midday on the Thursday. Malk de Koijn is a Danish rap group formed in 1993, known for their innovative use of the Danish language. The group has three members, Tue Track, Blæs Bukki and Geolo G (rap). Tina Dico is a Danish singer-songwriter. She founded her own record label and releases her music independently, enjoying large success with her albums in her home country as well as critical acclaim across Europe. She is inspired by artists such as Tracy Chapman, Bob Dylan and Leonard Cohen. Nephew is a Danish rock band formed in 1996 in Aarhus. They had their breakthrough in 2004 with the release of their second album USADSB. The release coincided with lead singer Simon Kvamm's appearances on Danish television in the comedy show Drengene fra Angora, which helped boost the band's popularity. The Isle of Wight Festival 2007 was the sixth revived Isle of Wight Festival on the Seaclose Park site in Newport on the Isle of Wight. It took place between 8–10 June 2007. Tickets went on sale at 9am on Thursday 22 February and were sold out by Monday 26 February. It was the first festival since 2003 with no official sponsor. Oxegen '07 was the fourth Oxegen festival to take place, following the dissolution of its predecessor Witnness in 2004. It took place on the weekend of Saturday, 7 July and Sunday, 8 July at Punchestown Racecourse near Naas in County Kildare, Ireland. The festival was headlined by Muse and Snow Patrol on the Saturday and The Killers on the Sunday. The Live Earth concerts occurred around the world on the same day as the Saturday of Oxegen '07. The Pemberton Festival was a three-day summer music festival inaugurated in 2008. It was held in Pemberton, British Columbia, a village just north of popular ski resort Whistler. Produced by Live Nation Canada, the festival featured primarily rock and indie rock musicians, with a small proportion of hip hop. Musicians played on one of two stages, picturesquely situated at the foot of Mount Currie and the surrounding mountain range. The site, a 400-acre (1.6 km2) hayfield, was discovered by concert-promoter, Shane Bourbonnais, of Live Nation, just down the street from his home. He emphasized event sustainability and environmentalism as priorities in running the festival. Roskilde Festival 2009 was held on 2–5 July with warmup from 28 June. The final and 180th act was announced on 15 June. The Sonisphere Festival is a touring rock music festival which takes place across Europe between June and August. The festival is owned by John Jackson and Kilimanjaro Live. It is jointly promoted by K2 and Kilimanjaro Live. It has hosted heavy metal bands such as Iron Maiden, Metallica, Mötley Crüe, Slayer, Judas Priest and Megadeth. Roskilde Festival 2010 was held from 1 to 4 July, with warmup from 26 June. For the 2010 edition of Roskilde Festival, they decided to close down the Astoria stage. The following is a list of notable events and releases of the year 2016 in Danish music. ↑ Roskilde Festival Website Archived 2 July 2006 at the Wayback Machine . Wikimedia Commons has media related to Roskilde Festival .